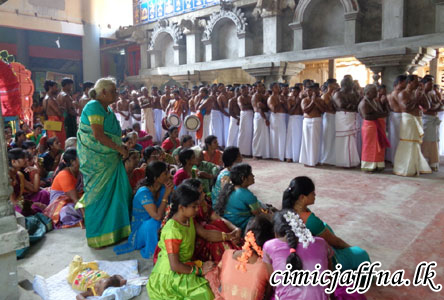 A large crowd of Hindu devotees joined the “Om Nama Shivaya Pada Yathra” organized by International Hindu Priests’ Organization on Friday (24) in Jaffna. 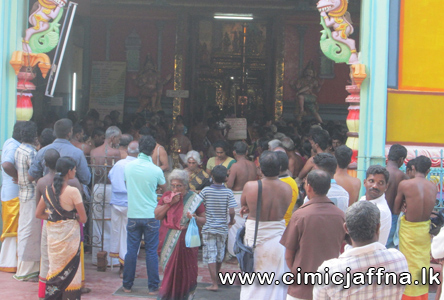 The “Pada Yathra” started from Vannai Sivam Temple on Kankasanthurai road reached Naguleswaram temple of Keerimalai where participants attended a special Pooja. 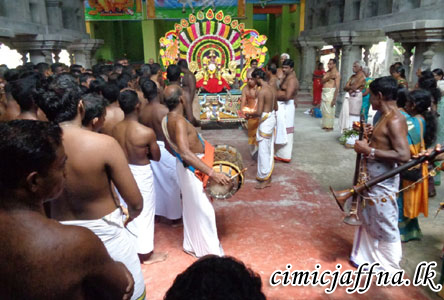 It was organized to pray Lord Shiva to protect Hindu temples from vandals and robbers and also to invoke blessing on the Hindus enabling them to protect their culture. Soldiers of the 513 Brigade extended their solidarity to the “Pada Yathra” which carried the Shiva Linga gathering at Innuvil and Chunnakam to welcome it. 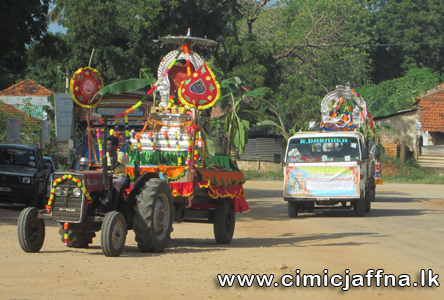 Soldiers washed and cleaned the main road for this worthy religious event and offered flowers, fruits and incense to Lord Shiva.